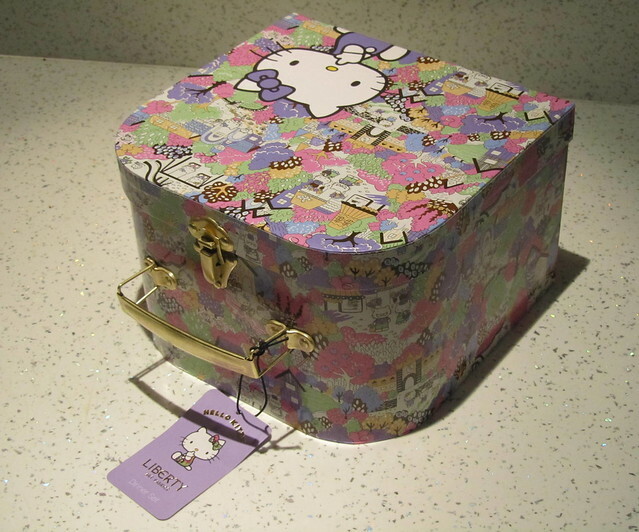 Proving that girls are never too old for Hello Kitty, I received the most beautiful Hello Kitty dinner set from my Mum for my birthday (thanks Mum!). 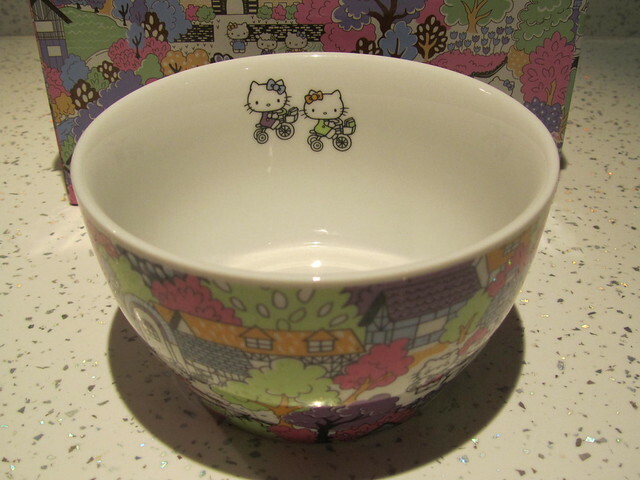 It’s from the Hello Kitty Liberty Art Fabrics series, which is a range I have had my eye on for a while now because the designs are just gorgeous! 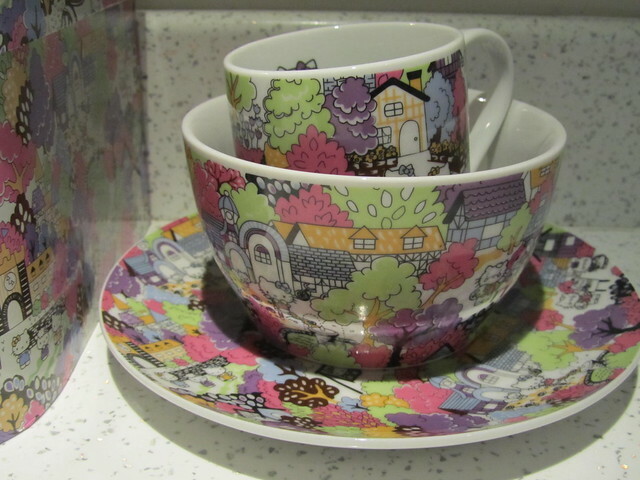 Actually, it’s called a ‘dinner set’ but, consisting of a plate, bowl and cup it seems more like a breakfast set to me, and I shall be using it as such for my birthday breakfast tomorrow! 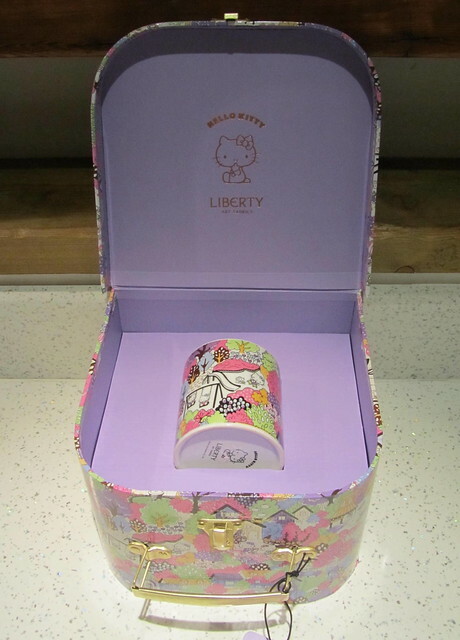 We’ve joined forces with every little girl’s best friend Hello Kitty, who has invaded our iconic Liberty floral prints as part of this exciting collaboration. The gorgeous resulting designs will adorn a range of luxurious products including cosmetics, stationery, toiletries, tote bags, umbrellas, plush keyrings, iPhone cases, alarm clocks, jewellery boxes and travel sets! 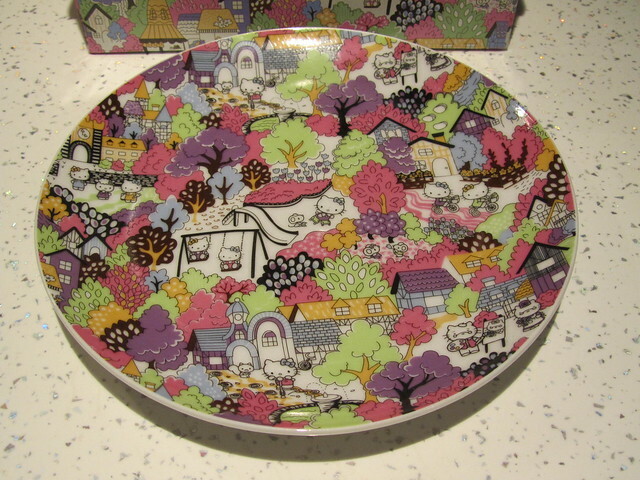 Choose from five original prints: Karenkubo, an adaptation of a floral from 1933; Kitty Town, featuring all Kitty’s family and friends in the setting of a quaint English village; Kitty Wonderland, Hello Kitty’s fantasy world with all her favourite toys; Music Festival, which features Kitty playing musical instruments and Apple Tree, a design produced in 1934 featuring one of Kitty’s favourite foods! 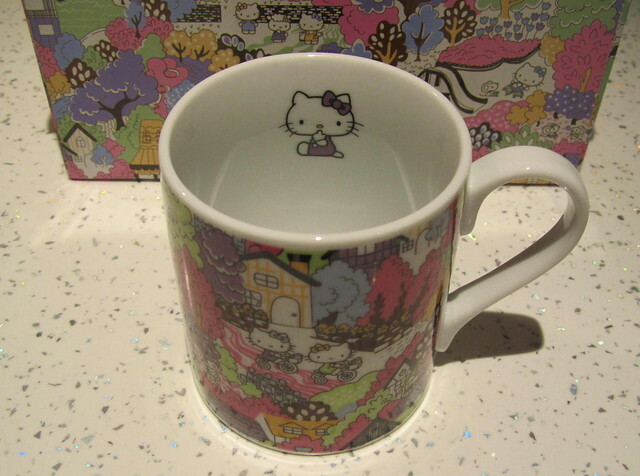 かわいいですね？ Isn’t it cute? You can see some of the other designs and other products available in this range on this Fluid World blog post.